Dr. Amit Oza is a Senior Staff Physician and Professor of Medicine at Princess Margaret Hospital, Toronto. He graduated from St. Bartholomew’s Hospital, University of London (UK) and completed his internal medicine and medical oncology training in UK. He completed Clinical Research Fellowships at St.
Bartholomew’s Hospital/Imperial Cancer Research Fund, London (UK), PMH, Toronto and at the Netherlands Cancer Institute, Amsterdam. 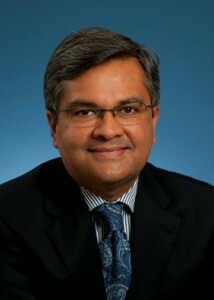 He is a Fellow of the Royal College of Physicians of London and Canada. Dr. Oza has been the PI and program scientific lead for the Princess Margaret Hospital Consortium over the last nine years. He is Co-Chair of NCI Investigational Drug Steering Committee and incoming Co-Chair for NCI Gynecologic Cancer Steering Committee. He is CEO of Ozmosis Research, a not for profit social enterprise clinical research organization. He has been an active PI and co-investigator in phase I, II, and III trials for gynecological cancer. His research interests are focused towards the development, assessment and validation of novel therapeutic strategies for cancer including molecular targeted therapies. Many of these studies also incorporate novel endpoints and translational research, which are developed in close relationship with scientists and pathologists at Ontario Cancer Institute/Princess Margaret Cancer Centre. He is the principal and co-author of >200 publications in major peer-reviewed journals such as New England Journal of Medicine, Lancet Oncology, Cancer Research, Journal of Clinical Oncology, Annals of Oncology, Investigational New Drugs and Clinical Cancer Research. He is currently Co-Director of the Robert and Maggie Bras and Family Drug Development Program at PMH. He is head of Princess Margaret Cancer Centre‘s Cancer Clinical Research Program. After graduating with a Master’s Degree from the University of Toronto, Ms. Degendorfer began her career at the Princess Margaret Cancer Centre in the Biostatistics department. She was recruited to the Drug Development Program in 2001 where she was appointed Manager of the Robert & Maggie Bras and Family New Drug Development Program, helping build the program into the largest cancer drug development program in Canada. Ozmosis Research Inc., a social enterprise CRO, hired Ms. Degendorfer in 2006 as Director and promoted her to Chief Operating Officer in 2008. She is actively involved in all aspects of the organization, including business development and clinical operations. In addition, Ms. Degendorfer has been seconded part time to the Princess Margaret Cancer Centre as Program Director for the Cancer Clinical Research Unit. Ms. Degendorfer is a certified member of the Society of Clinical Research Professionals and a member of DIA. She has been an expert consultant for academic cancer centers in Canada and abroad. Professor Lesley Seymour is the Director of the Investigational New Drug Program as well as Compliance and is the Deputy Director of NCIC CTG. She is a Professor of Oncology at Queens University, Kingston Ontario. She completed specialist training in Internal Medicine and later Clinical Haematology and Medical Oncology as well as a PhD in translational biology (breast cancer). After positions as Senior Consultants in Clinical Haematology and Medical Oncology, she spent two years in the pharmaceutical industry, and then relocated to Canada as the Director of Medical Oncology in Newfoundland. She is the principal investigator and co-investigator on numerous grants for clinical research and training. Dr Seymour has served on many provincial, national and international committees, editorial boards, review and grants panels, including the National Cancer Institute, American Society of Clinical Oncology, Journal of Clinical Oncology and Health Canada, and has served on the faculty of FLIMS and ACORD. 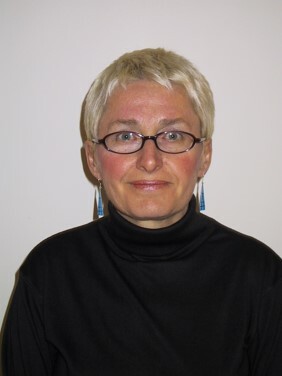 Alison Urton graduated with a Masters Degree in Biology from the University of Waterloo and began her career in clinical research at Kingston General Hospital in 2001. She took the position of Monitor at the NCIC Clinical Trials Group (NCIC CTG) in 2003, became the Manager of Audit and Monitoring in 2006, and then became the Manager of the Office of Compliance and Oversight in 2011. Alison took the position of Group Administrator in 2013 and in that role is responsible for providing administrative leadership and direction for the Group’s operations, both internally at Queen’s University and in the broader national and international clinical trials communities. Alison facilitates the development and implementation of the Group’s strategic direction and collaborations. 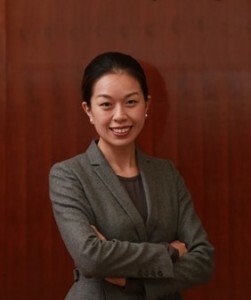 Dr.Cao is the Administrative Officer of Clinical Research Division and National Drug Clinical Trial Institute in Sun Yat-sen University cancer center.She graduated with Bachelor Degree from Sun Yat-sen Medical University in 2000 and obtained a PhD in Oncology in 2011. In 2014, she completed 2-year training in clinical research management at Dana-Farber/Harvard Cancer Center. She co-investigated 20 clinical trials for new drugs in China, including phase I drug trial and international multi-center phase II-III trials. Dr.Cao participated the project “Constructing the Clinical Trial Platform for Anti-cancer Drugs” which is the National Key Technology Research and Development Program of China funded by the “10th Five-Year Plan and “863 Plan”. She was the invited to give speeches in Chinese Conference on Pharmaceutical Medicine and the 2nd DIA China, and the annual meeting of ACRP in US. She is interested in the clinical management and published several papers in this area. sequencing platform in BGI and carried out a comprehensive analysis to understand the heterogeneity and the lineage of cancer cell populations, which reflected possible history about the cancer progression. He have been successfully organized and finished genetic diversity map projects of corps, and leaded the studies on evolutionary analysis to understand the history of genes been selected during domestication in crops and animals. 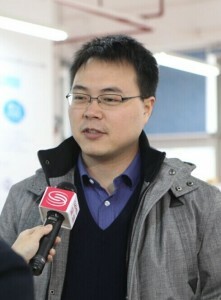 He is now the project leader of several key projects, including 863 project. In history he has participated in 8 projects, including 973, 863, and all are finished. Prof. Maggie Wang is the Assistant Professor in the JC School of Public Health and Primary Care (SPHPC), Chinese University of Hong Kong (CUHK). She has been the Assistant Dean of the Master of Epidemiology and Biostatistics Program since 2013 in CUHK. Prof. Maggie Wang obtained the Doctor of Philosophy degree in Statistics from the Hong Kong University of Science and Technology (HKUST) in 2011. She was a visiting scholar of the Columbia University in 2010. Prof. Wang was the principle investigator of multiple grant projects including the Hong Kong RGC-GRF grant, National Science Foundation of China (NSFC) General Project, and NSFC Youth project. 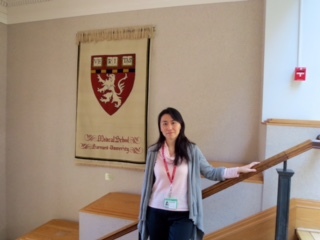 Prof. Maggie Wang’s research areas are bioinformatics, statistical genetics, infectious disease genetic epidemiology and modeling, and analytical methods in mass spectrometry medical device. Prof. Maggie Wang collaborates with statistical, biomedical and clinical scientists locally and internationally. She also collaborates with governmental organizations and pharmaceutical industries in statistical analysis and data consulting. Prof Chen was the Research Fellow in Department of Hematology and Oncology of ULM University, Germany 2005-2007. 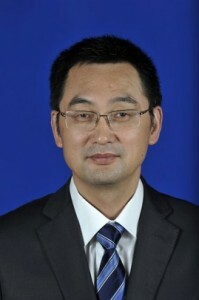 He is leader of Innovative Research Team in 12th Five-Year Plan of Jiangsu Province. Prof Chen is also the director of Nanjing Clinical Oncology Center and Translational Medicine Base (oncology). After graduating from the School of Public Health in Shang Medical University, he begun this career at Zhejiang Health and Epidemic Prevention Station. Then he was recruited to Zhejiang Center for Disease Control (CDC) and Prevention, responsible for preventing & controlling emerging infectious disease and immune prevention. He was the member of expert committee on natural focus disease in Ministry of Health and expert committee on public health emergency. Currently, he is the chief expert of infectious disease and epidemiology in Zhejiang CDC and the head of institute of infectious disease control and prevention. Prof Chen is also the member of Zhejiang Preventive Medicine Association, the chairman of vector biology committee and deputy chair of Epidemiology committee. He has been serving on editorial board of several academic journals including Chinese Journal of Preventive Medicine and International Journal of Biologicals, and published more than 60 papers on hepatitis A, hepatitis B, SARS, H1N1 and H7N9.